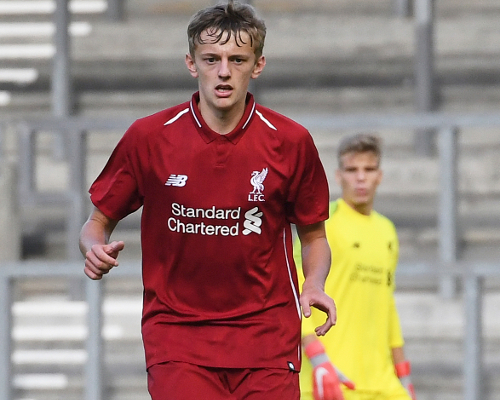 Barry Lewtas believes Liverpool U18s can maintain high standards and keep their unbeaten run going when they host Manchester City at the Kirkby Academy on Saturday. 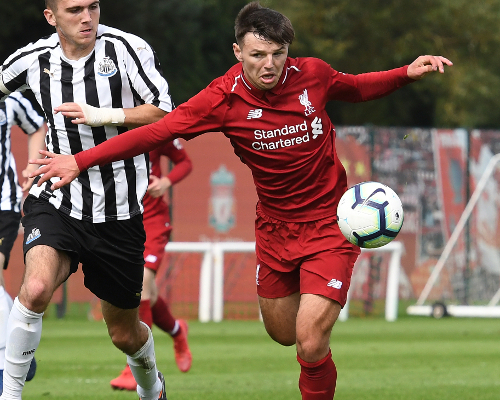 Since a 3-1 loss against Manchester United on home turf, the young Reds have won five consecutive games at U18 level, netting 19 goals in the process. They have thereby climbed to second spot in the U18 Premier League and are three points behind leaders Everton. It was difficult. I don’t want to sound like sour grapes because of what happened at the end but it was a tight pitch and the astro made for a difficult surface. The boys adapted well and I thought we played some nice football in spells and they executed the plan. Obviously the ending, you have to laugh about it because you might start crying. Me and Critch [Neil Critchley] were so disappointed for the lads because of the effort they put into that, and for it to be taken away in that manner was so disappointing. Napoli celebrated at the end like they had won and it looked like we had lost. We said to the boys after the game that might be an important point come the end of the group, so we’ll see and we’ll get a second chance. I have never seen anything like it. It kind of happened in slow motion so it was really disappointing. There was also a real strong breeze blowing down the pitch so we were under pressure in the last 10 to 15 minutes. What we did say to the boys is going into these games away from home in Europe we will encounter difficult pitches and different decisions. It was difficult for the referee. We have made a good start in the UEFA Youth League. We did ever so well against PSG and we knew it was going to be tough heading to Napoli. To get four points from the first two games hopefully sets us off well and we can kick on. It’s one of the big games on the schedule and we are looking forward to it. When you are looking at the fixtures this is one I certainly look for. It will be an excellent game and we will be up against strong opposition. 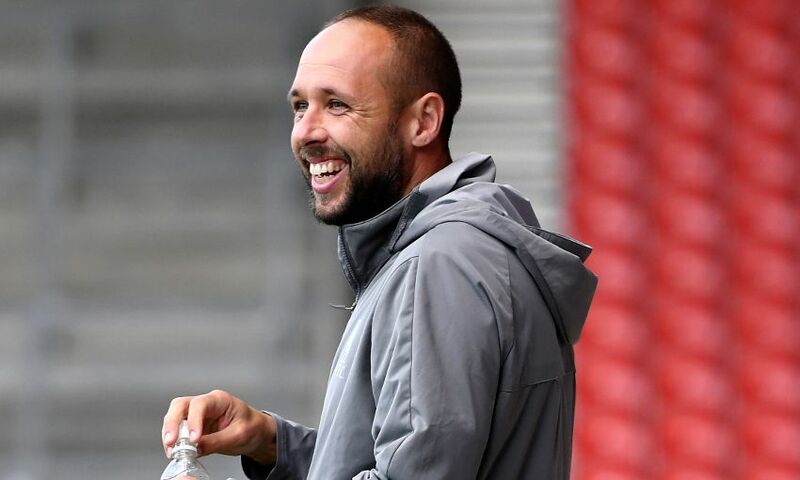 They will be well organised, they have their own identity, they play a nice brand of football and they have good players, so it’s a real challenge for us. It is one we are certainly ready for, we have our own way of playing, we have good players so it should make for a really good game of football. We have had some tough games and been in some real tough battles but we have done well and scored a lot of goals. The last league game against Blackburn, which we won 4-3 with a stoppage-time winner, was a really tough game. The boys showed real character in terms of sticking to the way we wanted to play, which paid off. I know it was the cup last weekend but again Stoke proved tough opposition and we came through it. It has been a really good run but it would be easy to say it has been easier than what it has been. It has been tough and the boys have worked ever so hard. It has been really pleasing to see the way the boys have stuck together in tough moments of games. That clean sheet still eludes us and I’ve said to the boys we might not be able to continue to always outscore teams the way we have been doing. I am confident we will be able to put a good performance in on Saturday. This will be the first time and I know he is excited and wants to do well, but I’m sure above that he will want the team to do well. It will be a good day for him, he’s a mature boy who is playing at a good level. It won’t faze him and I’m sure he will put the performance in that the team requires on Saturday. It’s pleasing. We spoke to all the centre-forwards about combinations, that means scoring goals, key passes, assists, so the relationships are building up nicely. If one of them isn’t scoring then the other one is. We have strikers like Fidel O’Rourke, who came up and scored the winner at Blackburn, Jack Bearne returned from injury to score last week, so that is what we want. From an attacking point of view we are making good progress and hopefully that can continue. Tom defends well, he is a good defender who does the basics well and takes pride in that. His defending in one-v-one situations and his heading is very good, all the ugly bits he is prepared to do. He also has quality, which allows us to play as well in terms of us building from the back and how we want to play in possession. Tom gives us an extra dimension and he will be an important player for us against Manchester City. Jake has done ever so well for us. 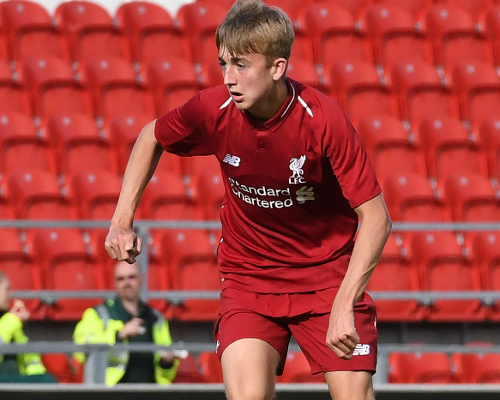 He had a good 12 months last year, first of all with me in the U16 team and he made his U18s debut under Steven Gerrard. He has brought that form into his first year at U18 level now and he has had five assists already in the league. Jake has been a real creative force behind the centre-forwards and he also works hard on the other side of his game as well. He has become extremely trustworthy off the ball during the last 12 months and he knows he has to keep working hard and develop further.